Avigilon Corporation, a Motorola Solutions company, today announced the development of its future H5 camera line. The first impression of Avigilon’s AI-Powered H5 Camera Line, the next generation of advanced AI CCTV cameras based on Intel Movidius VPU. Avigilon announced it will preview the new Avigilon H4 platform’s Thermal camera line at IFSEC 2017. Avigilon Corporation will preview the new Avigilon Access Control Manager system integration with Virdi’s biometric fingerprint reader technology at IFSEC 2017. 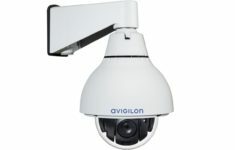 Avigilon announced the expansion of its H4 SL IP CCTV camera line with the addition of a 3 MP camera and indoor dome models. 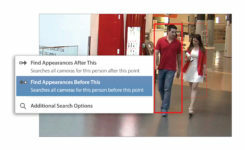 Avigilon announced that it has further enhanced its self-learning video analytics capabilities by introducing Avigilon Appearance Search technology immediately available with Avigilon Control Center (ACC) 6.0 VMS. Avigilon announced the expansion of its H4 camera platform with the addition of the H4 PTZ (Pan-Tilt-Zoom) IP CCTV camera line.